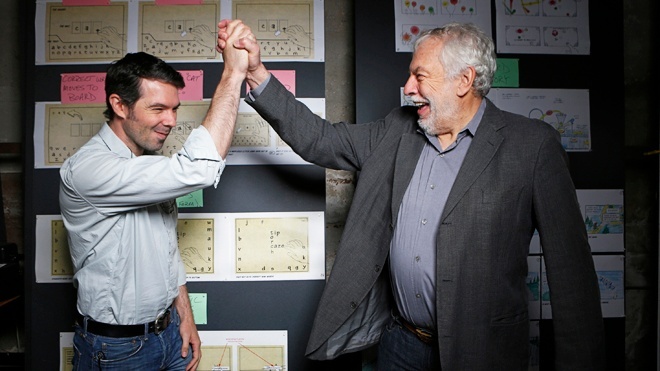 Nolan Bushnell isn’t your average 74-year-old. 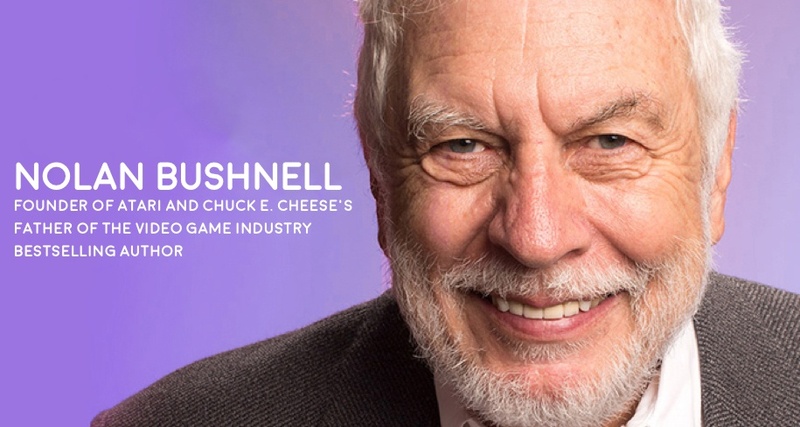 Often cited as the "Father of the Video Game Industry", Bushnell is best known as the founder of Atari and Chuck E. Cheese’s. Named one of Newsweek’s “50 Men That Changed America,” Bushnell is a true tech visionary and serial entreprenuer whose career has also included founding Etak, the first car navigation system whose mapping is still the basis for navigation systems today, and personal robotics company Androbot. Nolan was also one of Steve Jobs's first and only bosses, as detailed in his book Finding the Next Steve Jobs: How to Find, Hire, Keep and Nurture Creative Talent. 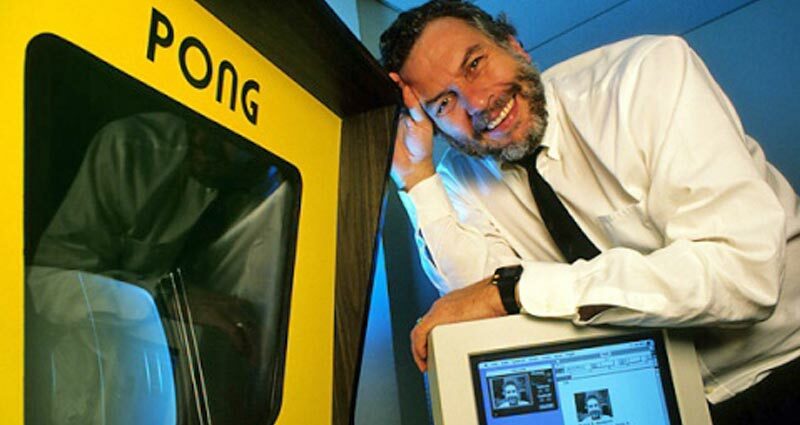 The legendary tech pioneer and entrepreneur hasn’t slowed down a bit. Bushnell still has an eye torwards innovation, and one of his current pursuits is video games that are designed to improve short-term memory, focus, and concentration in seniors. We caught up with Bushnell to get his thoughts on aging, his vision for the future of technology, and what he’ll be sharing in his keynote at the Senior Living Innovation Forum in June. And of course--we had to ask him about the status of the Atari movie that is set to star Leonardo DiCaprio as a young Bushnell. Q: Last month you turned 74. What are you up to these days? A: I serve on several boards of directors. One is a self-driving car company and the other is a computer security company. I’m also working on a new entertainment system that I think could really be impactful in assisted living communities. And I’m still actively working on Anti-Aging Games, adding new challenges and refining others to have better efficacy. I have a lot of interest in using myself as a guinea pig. What I’m trying to do is really understand the nature of brain exercises and how you keep yourself vibrant and happy. It turns out that if you’re engaged in projects and doing different things, it actually leads to a lot of happiness and mental well-being. Q: What does the word innovation mean to you? A: For me, the definition of innovation is getting rid of things that irritate you. As soon as everyone is totally happy with everything around them, innovation can come to a stop...but I don’t see that ever happening. I read sci-fi and I want to live in some of the worlds they describe. We are a long, long way away from that, but most of the things they postulate could actually become possible with the advances in technology happening today. If you read something in sci-fi and say “Gee, technology can allow me to do it,” is it truly innovation? I think so, because it’s the old story that creativity is the art of concealing your sources. Q: Could you ever see yourself in an assisted living community? A: That’s a hard question for me to answer because I live in a house where my wife cooks dinner for all eight of my kids every Sunday night. Last night we had almost 22 people over. In that construct, I don’t see it. If you want to keep your brain happy and sharp, you have to do manual things that also work your motor control, gait and balance; from Tai Chai to ballroom dancing. Can they offer that? One very important thing that assisted living can provide is companionship and friends-- which is absolutely imperative to survival. I do believe that technology will allow aging adults to stay at home much longer. If you look at tech advances behind voice recognition, I believe we will have robots that are quite charming and companionable. Q: Do you feel old? Have you slowed down at all? 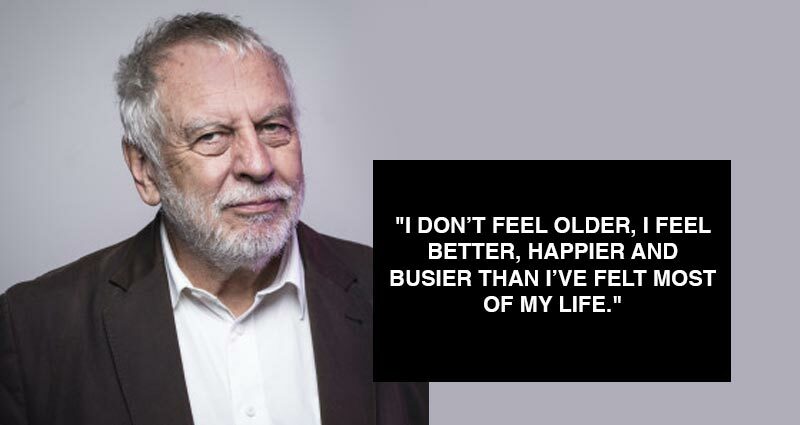 A: I don’t feel older, I feel better, happier and busier than I’ve felt most of my life. The thought of retiring for me is impossible. For example I’m doing a four-country tour next week in Europe, and really looking forward to it. Q: What do you believe will be the biggest innovations in the next decade? A: In 10 years, most of the transportation will be self-driving vehicles. A huge number of economic drivers will make this a reality. We will also see some very significant moves forward in disease treatment, primarily in gene therapy. A huge amount of illness today is caused by autoimmune problems that have resisted treatments. With advancements in gene therapy, I believe a lot of disorders like lupus, multiple scleroisis and even diabetes will become a thing of the past. The probability of having people today in their 40's live to 100 or even 110 is highly probable. For us in our 70's now, I don’t know, but we could be knocking on the door to 100 in larger numbers soon. We are going to see a fundamental change in the nature of employment. Manufacturing will continue but the construction industry will be a larger provider of jobs. When I think about the future I want, most of the innovations will require new infrastructure. In order to make the world more efficient and interesting we will need to build a lot. I also see further disintermediation away from “things” and towards experiences. One of the ways that jobs are going to be changed is through increased education and entertainment. We will probably see a four-day work week in the next 10 years. Millennials right now are even more triggered on entertainment as opposed to "things". My 26 year old son has not shopped anywhere but Goodwill during his adult life--and he thinks that’s cool. Q: What's up with the Leonardo DiCaprio film? A: If the Steve Jobs movies had been blockbusters, mine would have been made 3 years ago. I think they tried to make the Jobs movies too much like soap operas and less about his genius. But it’s been greenlighted again, so I think the movie is going to happen in a few years.